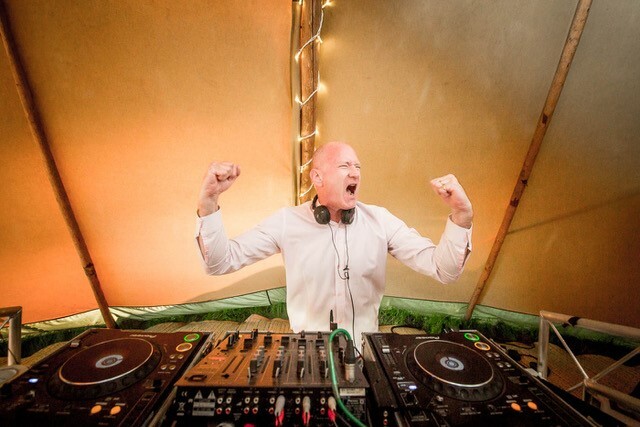 On Saturday 2nd June last year Rob (founder/host/DJ) drove down winding country lanes in darkest, deepest Hampshire to help with the celebrations for Adam and Emma’s wedding. Located at Holden Farm in a beautiful field with the English countryside as the backdrop on a gorgeous summers day. The scene was set. The wedding venue, a Tipi supplied by the best Tipi company in the UK (in our opinion) Tentario Tipis, had been set up the day before giving Rob the opportunity to prepare for the day ahead before the guests arrival at 3pm. As the sun beamed down, Adam and Emma arrived in a stylish white Jaguar. Fizz was passed and glasses were clinked as everyone caught up with family and friends and recounted how beautiful a day had been already. There was no rush to this wedding, which I think typified the wedding couple. Rob played a laid-back playlist to complement the summers day as afternoon tea and cakes were served to keep everyone in check until the sumptuous hog roast sizzled for later in the evening. After some heartfelt speeches, Rob invited the newlyweds onto the dance floor to share their first dance to Etta James – At Last. 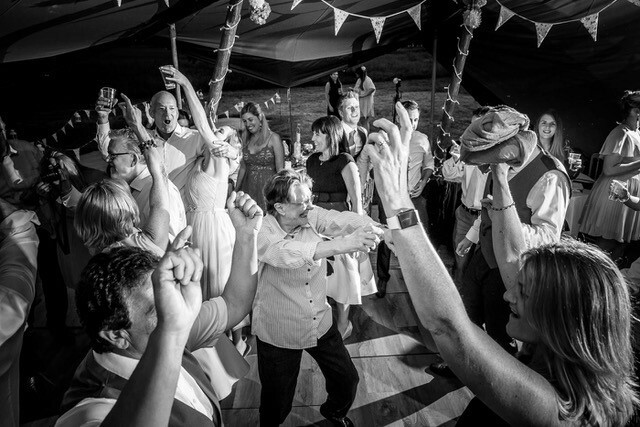 Then, straight after the first dance, while the guests were still on their feet and on the dance floor, Stick It On kicked off the party with their first DJ, ‘ChrissyBoy’, Adam’s Uncle. He launched off with Walk The Moon’s – Shut Up and Dance with suitable vigour (see photo) and with the energy from both this song and his sheer enjoyment, it was the perfect start. He finished off with Don’t Stop Me Now getting the guests into full swing and so the evening’s celebrations had truly begun to what would be a fantastic four hours of song and dance. 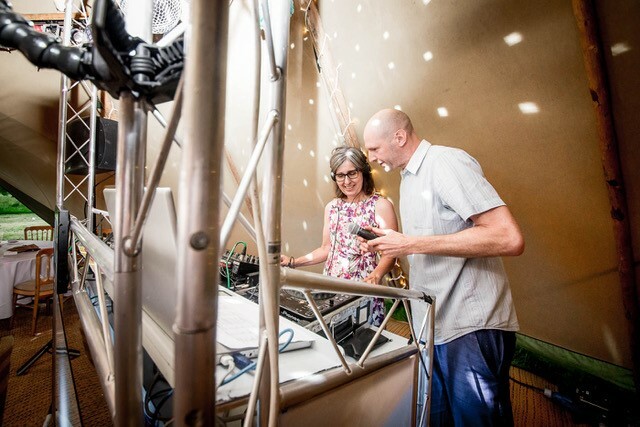 With an eye-watering 23 DJs playing through the night the feelgood vibes were a mixture of fun, love and laughter, the mood was electric. Feet stompin’, hand-clappin’, finger clickin’ hits played throughout the night. From Fleetwood Mac’s – Go Your Own Way to party bangers like Pendulum – Tarantula (not in the same DJ set, mind). 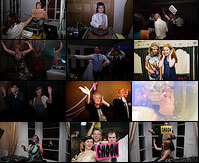 Stick It On DJs of all ages graced the decks to celebrate Adam and Emma’s special day. 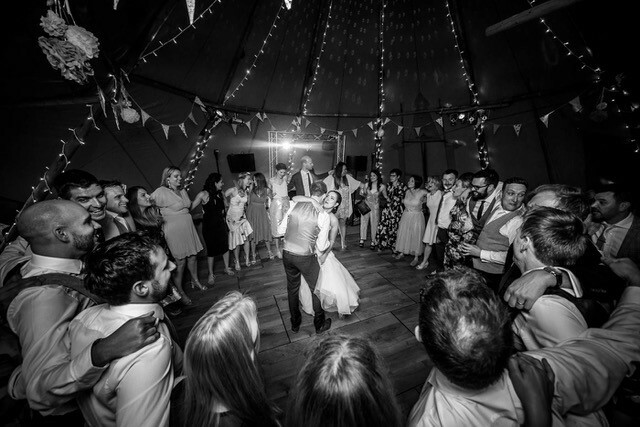 The last set, from the Bride and Groom themselves, ended with Take That – Never Forget which was the perfect ‘last song of the night’ to bring this fantastic day to a close. A truly joyous occasion and it was an absolute pleasure to be involved in Adam and Emma’s wedding celebrations. We wish them all the best for the future. “I wanted to thank you for a such a terrific evening on the day. The comments from our guests were glowing. They loved the concept and given that a few of the “DJs” didn’t realise they had to go up and weren’t keen on it, ended up running up to the decks on their turn shows how enjoyable it was! No better testament to how fun it was that we had to hold my 87 year old Grandad back who wanted a turn as the night went on! 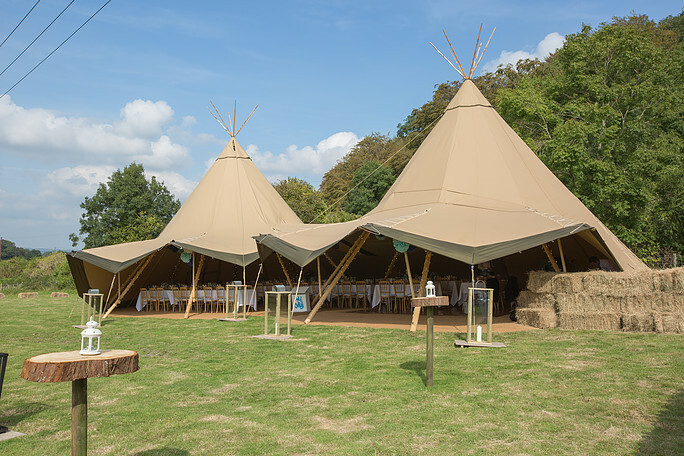 Tentario Tents for their amazing Tipis and for recommending us to Adam & Emma. The exquisite talents of Stephen Duncan Photography for allowing us to use the official wedding pics (unless stated).